Ed and I celebrated our 13th anniversary together this week. This weekend, he's taking me on a surprise out-of-town trip to celebrate. I do not know the final destination. 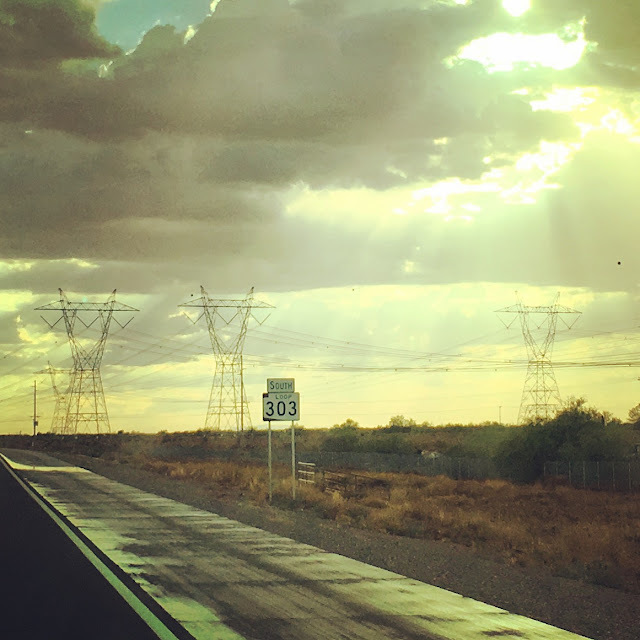 This photo was taken from Arizona State Route 303 on the west side of Phoenix just after the rain passed through. I'm not really sure why they call it a loop since it doesn't actually go around anything, but whatever.